My interest in art began when I was a small child. My mother used to bring my sister and me to all the museums in driving distance from our home in Albany, NY, and we would spend afternoons copying paintings first with crayons and then with charcoal and finally, when we were older and more experienced, with pastels. This pretty traditional artistic preparation took an unexpected course once I started making photographs an a teenager but the familiar canvases of my childhood heros- John Singer Sargent, Renoir, Vermeer- still have their influences today: I am interested in making portraits of people relating to their domestic environments and occupied with their internal worlds. For subject matter I use what I have at hand: family, friends, and more recently- babies and small children. 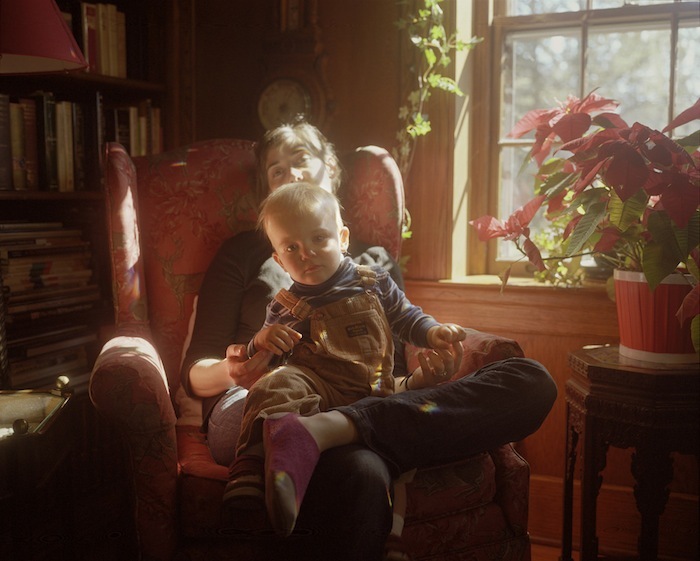 While the greater themes in my work have been fairly consistent over time (a self conscious exploration of being and an interest in the intimate and unspoken undercurrents between people) the newer subject matter also focuses on the intense and highly charged experience of having children. Jessica Todd Harper is a Philadelphia, PA based artist. To view more of Jessica's work, please visit her website.